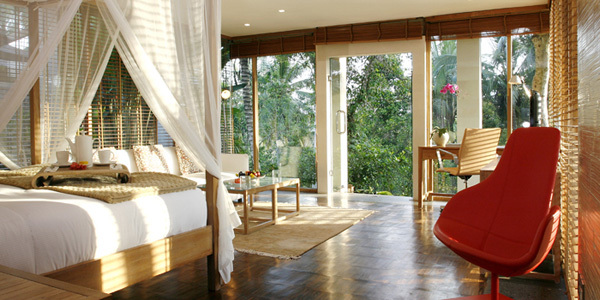 Modern home comforts that embrace the Balinese way of life. Bali baliku Luxury Villa in Jimbaran Bali offers a cool life style alternative that is free from obvious city pressures. The best white sand beach is twenty meters far from the villa-lobby, there is a constant reminder of some of the precious qualities that one is often to busy to appreciate. Jimbaran Bay is renewed for it’s “catch of the day” seafood dining. The bay instils a sense of peaceful that somehow manages to rebalance the body, mind, spirit and soul. 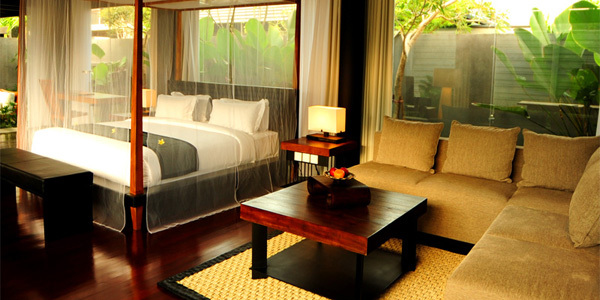 Located at Jimbaran Bay Bali, close to spacious seafood restaurant and bordered by Indian Ocean. The bay is a best place to enjoy the magnificent view of vibrant sunsets over the distant of the horizon. 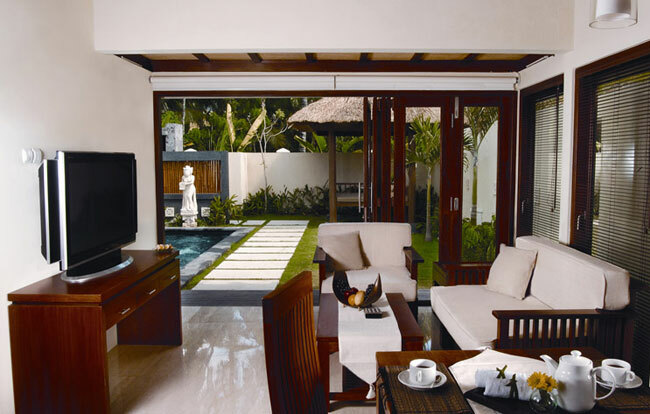 Bali baliku Luxury Villa Jimbaran Bali enjoy a strategic location, 25-minutes away from the airport by cab and average 30-minutes away from the Kuta/Seminyak shopping and nightlife district. 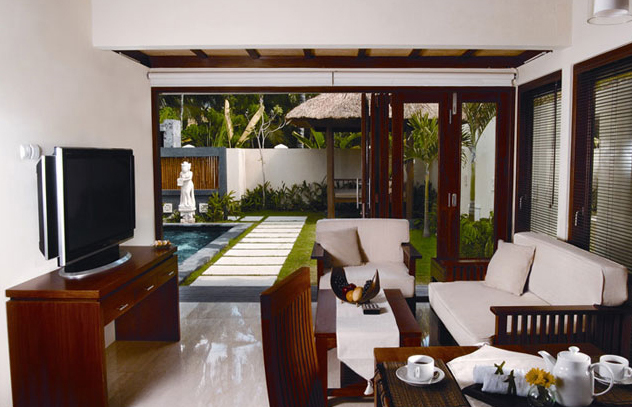 Also, Bali Baliku’s 16 villas are situated on a luxurious compound that’s not only inches away from a pleasant and safe beach. Close to spacious seafood Jimbaran restaurant and bordered by Indian Ocean. Your breakfast selections (Indonesian Breakfast, Continental Breakfast or American Breakfast) are prepared either in each villa dining room or at the restaurant on requested time between 07 am till 11 am. Room service for lunch and dinner is available till 11 midnights. Offering in-room treatments, such as aromatic foot bath, Body wash, Aromatherapy Massage, Body Scrub, Flower Bath or Facial with special prices. Laundry & dry cleaning, daily service and same day service can be arranged. 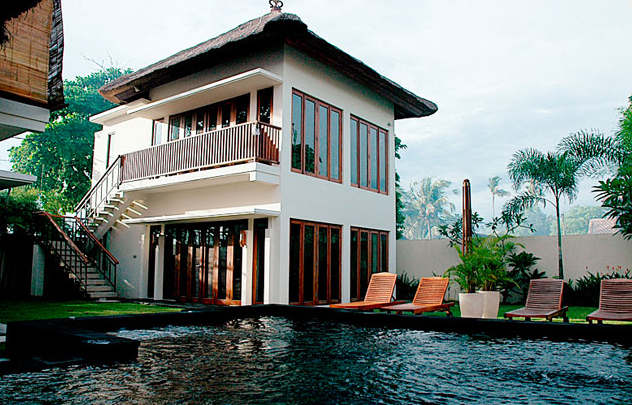 Medical, Bali Baliku Luxury Villas is affiliated with a nearby clinic that offers doctor assistance available 24 hours. Additional Service, All activities available in Bali such as river rafting, diving, and visits to scenic sites in other parts of the island can be arranged through the resort. Special talks on Balinese culture also can be scheduled. 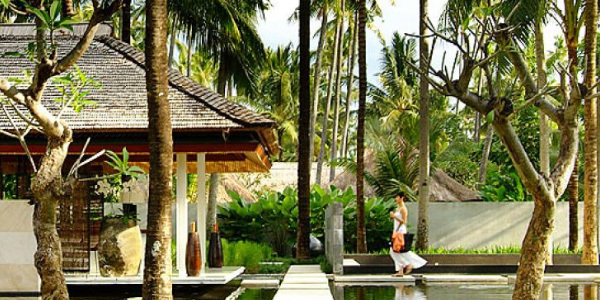 Bali baliku luxury villa is a class of villa accommodation in Jimbaran Bali that fulfils your desire for peace and Exotic Villa Accommodation. 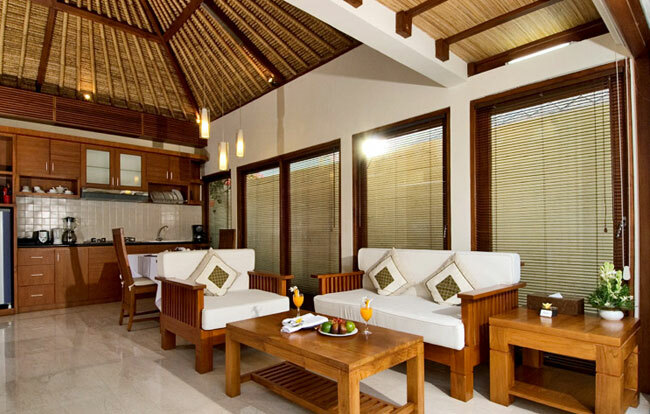 Bali baliku luxury villa have 16 villas with; One Bedroom Pool Villa (12 Villas), Two Bedroom Pool Villas (3 Villas) and Three Bedroom Pool Villa (1 Villa). 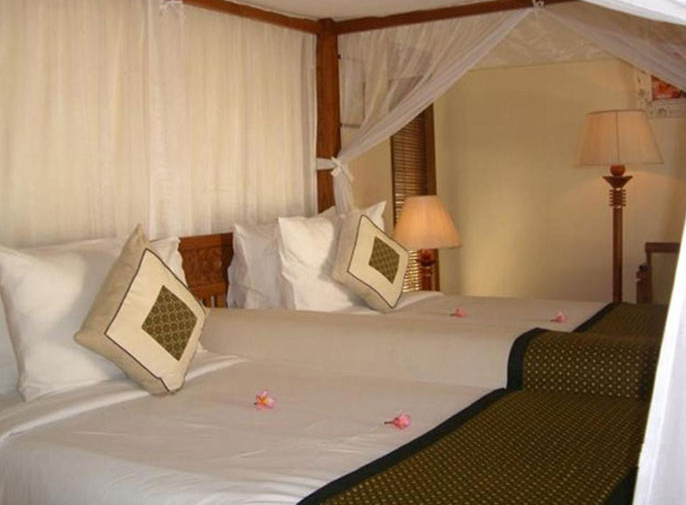 Two bedroom private villa is about 300m2 with own swimming pool, Jacuzzi, gazebo, spacious living area with kitchenette upstairs, satellite TV and DVD player IDD phone, the bedroom with king-size bed and Hollywood-twin bed, air-conditioning, in-room safety deposit box, bathrobe and slippers, hot and cold shower, separated bathtub and shower, indoor and outdoor shower. Three Bedroom private villa is about 350m2 with own swimming pool, Jacuzzi, gazebo, spacious living area with kitchenette, satellite TV and DVD player IDD phone, the bedroom with 02 king-size bed and 1 Hollywood-twin bed, air-conditioning, in-room safety deposit box, bathrobe and slippers, hot and cold shower, separated bathtub and shower, indoor and outdoor shower.